For young Britons, loneliness is an epidemic – and they are even more likely to fall victim to its insidious dangers than the elderly. Loneliness has finally become a hot topic – last month, the Office for National Statistics found Britain to be the loneliness capital of Europe. We’re less likely to have strong friendships or know our neighbours than residents anywhere else in the EU, and a relatively high proportion of us have no one to rely on in a crisis. Meanwhile, earlier this year, research by Professor John Cacioppo at the University of Chicago found loneliness to be twice as bad for older people’s health as obesity and almost as great a cause of death as poverty. But shocking as this is, such studies overlook the loneliness epidemic among younger adults. In 2010 the Mental Health Foundation found loneliness to be a greater concern among young people than the elderly. The 18 to 34-year-olds surveyed were more likely to feel lonely often, to worry about feeling alone and to feel depressed because of loneliness than the over-55s. “Loneliness is a recognised problem among the elderly – there are day centres and charities to help them,” says Sam Challis, an information manager at the mental health charity Mind, “but when young people reach 21 they’re too old for youth services.” This is problematic because of the close relationship between loneliness and mental health – it is linked to increased stress, depression, paranoia, anxiety, addiction, cognitive decline and is a known factor in suicide. In a new essay, Paul Farmer, the chief executive of Mind, and Jenny Edwards, the chief executive of the Mental Health Foundation, say it can be both a cause and effect of mental health problems. But what can young people do to combat loneliness? Dr Grant Blank, a survey research fellow at the Oxford Internet Institute, points out that social media and the internet can be a boon and a problem. They are beneficial when they enable us to communicate with distant loved ones, but not when they replace face-to-face contact. “People present an idealised version of themselves online and we expect to have social lives like those portrayed in the media,” says Challis. Comparing friends’ seemingly perfect lives with ours can lead us to withdraw socially. While meditation techniques such as mindfulness and apps such as Headspace are trendy solutions frequently recommended for a range of mental health problems, they’re not necessarily helpful for loneliness, as they actively encourage us to dwell alone on our thoughts. “You’d be better off addressing the underlying causes of being lonely first – what’s stopping you going out and seeing people?” asks Challis. Indeed, a study of social media at the University of Michigan last year found that while Facebook reduces life satisfaction, using technology to help you meet new people can be beneficial. And if for whatever reason you are unable to venture outside, the internet can bring solace. Mumsnet has been “an absolute godsend” for Maddy Matthews, 19, a student with a two-month-old daughter. Since the birth, she rarely sees her university friends and her partner works most evenings. “In the first few days, I was up late at night feeding her and I was worried I was doing something wrong. Being able to post on Mumsnet has helped me feel less alone”. Helplines can also reduce loneliness, at least in the short term. One in four men who call the Samaritans mention loneliness or isolation, and Get Connected is a free confidential helpline for young people, where they can seek help with emotional and mental health issues often linked to loneliness. There are also support services on websites such as Mind’s that can remind you you’re not alone. Office chitchat may seem like a waste of time, but it helps to cushion us from the emotional and psychological effects of work strain. “If you form connections with your team, you might be stressed, but not isolated,” says Rick Hughes, the British Association for Counselling and Psychotherapy’s (BACP) lead adviser for workplace. For developing personal skills such as empathy, counselling can help. “A problem aired is a problem shared and sometimes you need to talk to someone impartial and independent of your friends and family,” says Hughes. Most universities offer students such counselling and many run group sessions that specifically address loneliness. So What can we do to combat loneliness when it enters our lives? 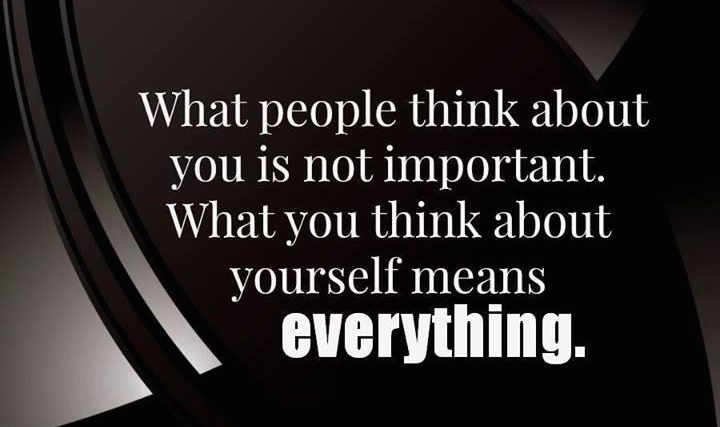 This is a very important thing to remember, we don’t need to worry about what other people think about us, all that matters is what we think about ourselves! We are driven to believe that all in the world is rosy, that money and things bring us happiness and if you are rich and famous your life is full of friends and therefore happiness, however reality tells us that this is simply not true! Happiness starts within, so please don’t fool yourself and keep looking outside for that miracle cure to your unhappiness, start by going inside, meditate and connect with your inner self, get to know and love yourself, be happy and grateful for what you are, who you are and what you have in your life right now. Once you have done this you will raise your own levels of self-esteem and energy automatically, you will feel better in your own skin and you will start living your life in happiness and that happiness will raise the happiness of others you come into contact with and their happiness will increase your happiness and the circle of life continues. So; my dear friends, don’t allow loneliness to control your life, stand up to it, fight it off with all your strength, look at the little things in your life that bring a smile to your face and use those moments of joy to bring further joy to your heart. If you would like any help, I’m always here for you, if you need someone to talk to, I’m always here for you. 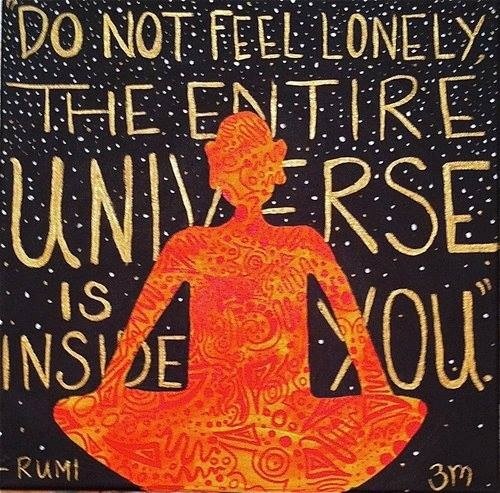 If you would like a chat via Skype, I’m always here for you and remember; we are never alone unless we allow ourselves to be alone! p.s. the elderly have more problems due to they suffer with health issues, or are not able to get out and about and who cares for old people anyway? few actually. It is sad. Thanks Eve, Yes, I agree with you, loneliness in youth is not a new thing but like everything we need to re-invent the wheel for each new generation and make it relevant so the youth culture of that specific time can relate to the issues and understand their own symptoms of loneliness, hence the relations to social media, Facebook etc and yes, I also agree that the elderly have other issues regarding health, social controls regarding the ability to get out and meet friends and family due to the lack of funds etc, all of which deeply impact and increase their levels of loneliness. I personally feel that awareness to these very important issues is not only for the individual to understand but also for the people around them and for society at large to understand because we as humanity have lost connection to each other and with the advent and continued development of technology we are all becoming even more distanced from a human to human basis, this impacts our inner-self, our primordial need to communicate face to face but we are tricked into thinking that all is well because we may have many ‘so called friends’ on social media, E.g, I may have 13,000 friends on Twitter but how many are friends, once I actually meet with, speak to face to face etc, maybe less than 5…Wow, that puts it into perspective, doesn’t it? Thank you again Eve for taking the time to follow my blog, to read my post and to comment, your presence in my world certainly raises my level of happiness.